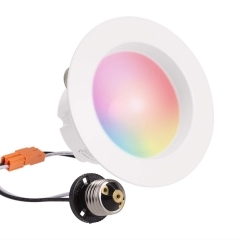 --This smart gu10 spot light doesn’t need any hub which save money on hub purchasing and is easy to set up. - -Light will be auto off according to the preset time, so you can set the bedtime for your children through the way of light off. 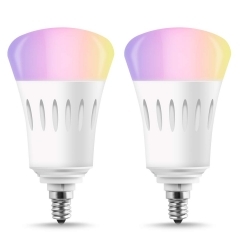 Convenient to Lighting--Work with Wi-Fi or cellphone traffic, controlled by APP on smart phone (Android 4.1 above or IOS 8.0 above). 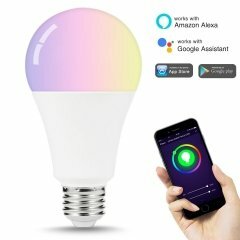 Work with Amazon Alexa and Google Home and can be voice controlled. 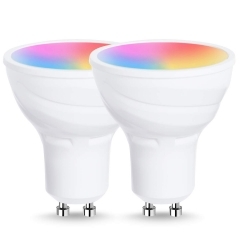 You can create groups to control two or more bulbs. To improve home security though remote control. 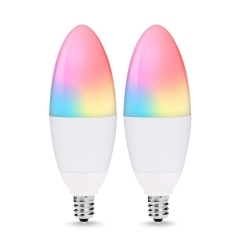 Make Home Lighting Colorful--This GU24 9W dimmable LED Wi-Fi bulb can be used as a common LED light and for special purpose with its multifunctional design. 16 million colors are available, from 2000k to 9000k. Choose different color to suit your mood. Easy to Install--There are 3 steps to start your smart life. 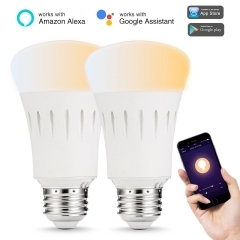 Scan the QR code to download the APP, install the lamp(GU24 base) and use the APP to control the Wi-Fi bulb(No Hub Required). 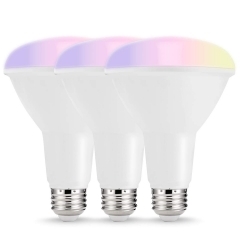 Energy Saving and Widely Used--Reduce power usage up to 80%. 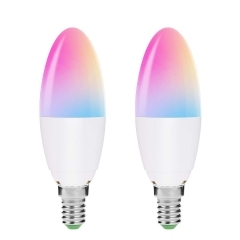 Can be used in the home indoor lighting, hotel, meeting room, museum, restaurants, bar, cafe, cocktail party, birthday party, etc. 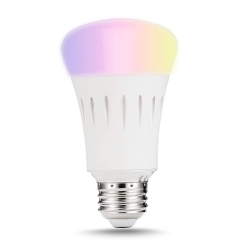 Rated life span 30000 hours, which reduces frequency of re-lamp. No lead or mercury. No UV or IR. CE, RoHS, FCC compliant. Feel free to contact us if any doubt about setting up your device. One year warranty. If your wifi have the Mac Filtering, please do this as follow: Log in the app Control Interface; Click the Top right corner with a icon of menu; And then you can see the information of the Device ID and the last 12 characters are the bulb's mac(physical) address.